Saturday a week ago, I was part of the opening of Cosima von Bonin’s exhibition “The Fatigue Empire”. 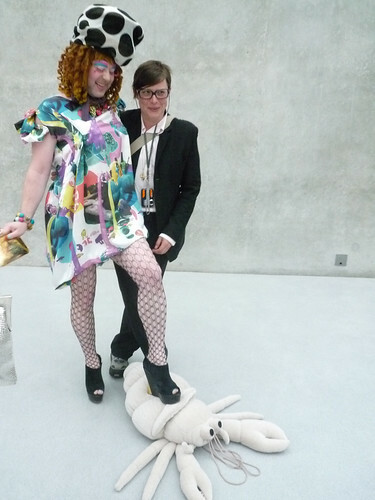 I had the honour of kicking people out of the Kunsthaus Bregenz. Sounds like the perfect job for me, right? 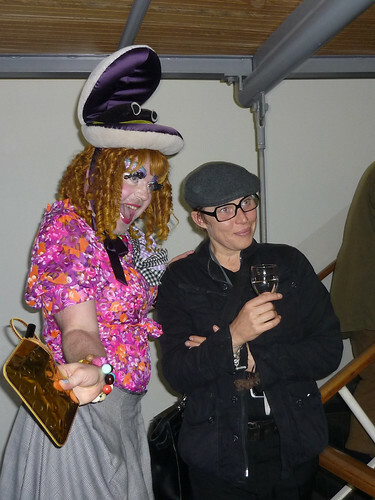 My friend Doc Nancy was also there and drove the car through the 2nd floor of the Kunsthaus. Drink’n’Drive has never been more fun. I started throwing people out on the 3rd floor by presenting “You Are Auf’d” postcards, which didn’t go down so well. Most people just wanted to stay. So, I said: “All cute people have to leave and you are very cute. Just look around, who’s left?!”. And down the stairs they went. Now you can call it performance. But when is a drag queen not performing? HELLO?! Check out some pictures below and more after the jump. Even more pictures on flickr. My dress by Mary Messhausen. Clam hat by Cosima von Bonin. Manatees-and-nail-polish digital silk print of the dress by Pandy Ramada. At the Pädagogikraum. Can you spot Doc Nancy? How Do You Say, Fatigue? It’s best to pronounce it like really gay. Fatty gay. Cosima von Bonin has a big opening at Kunsthaus Bregenz on Saturday, July 17. I’m very honoured and excited to be part of the night. Right after the opening, there is a party on a boat, where Viola Klein and myself will be djing for all friends, party people and the sea urchins in Lake Constance. If you want to be local, just call it Bodensee. Basically, it’s like Lake Ontario but for Germany and Austria. What is she going to wear to such an event, you might ask yourself? Glad you asked. I’m going to wear a dress by Mary Messhausen (of course! ), but from her Mary’o’nette collection. 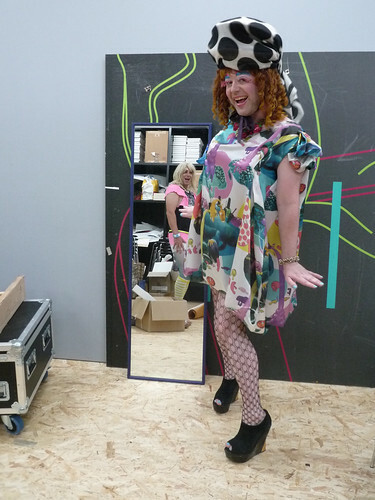 The dress features a digital silk print by the one and only Pandy Ramada. I’m so spoiled already. And this is not a hint. Can’t wait for The Fatigue Empire. Join in on an exciting night. Author produzentinPosted on July 2, 2010 February 10, 2019 Categories cosimaTags bregenz, clam, cosima von bonin, manateeLeave a comment on How Do You Say, Fatigue?